The winners of first event of the year were five-time world champions Quantum Racing. Already featuring a stellar cast in its crew line-up, the American team has been boosted by the addition of the America’s Cup star Dean Barker. Another team to boast serious talent in its ranks is Ondafrom Brazil. The team owner, Eduardo de Souza Ramos, is a double Olympian in his own right and his all-Brazilian crew features five-time Olympic medallist, twice Rolex World Sailor of the Year and Rolex Testimonee, Robert Scheidt as tactician. Hasso and Tina Plattner, co-owners of the South African entry Phoenix, are relative newcomers to the TP52 circuit and, on the surface, exhibit more experience in a different racing arena: the maxi yacht world. The Plattners have accumulated overall wins at the Maxi Yacht Rolex Cup in 1997 and 2007, and, Rolex Middle Sea Race in 2006, together with Line Honours at the Rolex Sydney Hobart in 1996. 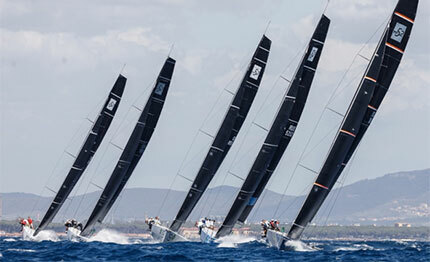 However, the Phoenix crew includes three-time 52 SUPER SERIES winning skipper Ed Baird, another former Rolex World Sailor of the Year, and, second place overall at the second regatta this season suggests the immediate appearance is deceptive.